Eric Sloof’s VCAP-DCA 32+ Practice Questions – cool! =0) Thanks for the mention David!! Just a quick question, doing all the vmware courses would be very expensive, especially if you are funding it yourself. Do you think the vcap exam, can be passed by having a home lab and going through the links you provided to resources? Keep in mind that a VCP is required to take the VCAP exams so VMware still requires at least one class to get your VCP. Still, if you have your VCP, then, absolutely, you can pass the VCAP exams with self-study by using links I mention above and my video training courses. Hope that helps! Keep those questions coming! Congratulation on passing DCA exam. I am keen on taking a shot at this on. the problem is that the fuding for the vmware courses has to borne my myself. I already have ordered for the CBT (Permormance Troubleshooting) from Trainsignal, but as i have understand we need to do lot of lab practises. I was asking you if you could recommend and inexpensive home lab setup for the same. I am willing to invest on HP ML110 G6 server (2 of them infact), openfilers (iscsi for shared storage).Could you help me out with the configuration details for the home lab. I have unterstood that VCAP-DCA needs understnding on both ESXi/ESX can we go in for a mix lab env (Host running on ESX and the other host on ESXi) . Your reommendation is highly appreciated. Thanks for the congrats and thanks for taking time to comment! I really appreciate your support of my Train Signal videos and I hope that you enjoy them (and learn a lot). Likely you are like me and want a powerful and impressive lab but don’t get carried away with that for this exam. I would bet that you could perform a very high percentage of the tasks on the exam with a virtual lab (like 90%). The only tasks that you might not be able to practice with a virtual lab would be something like FT.
As for the equipment that you suggested, it sounds great ! If you did buy it, I would get at least 8GB of RAM on each server and run one with ESX and the other with ESXi. You could run OpenFiler even as a VM on one of those hosts or you could purchase an external SMB SAN/NAS like an Iomega IX4-200D. Still, if getting the money together for the VMware Education class to qualify for the VCP is a struggle, I would instead not buy the lab, go virtual, and spend the money on the class. I don’t like to have to say that but it is the truth. The class is required where the physical lab is optional. I am VCP certified (310/410) I did attend the the class from HP (VMware Authorise Traning Partner in India) but the problem of self fuding arises for other recommended course for VCAP-DCA , hence I was narrowed down my approach to DCA exam on trainsignal CBT’s and home lab (Inexpensive one). I am also wondering about the license also if I were to run ESXi and ESX and have the required features in the home lab for the DCA exam . Any suggestion would be appreciated. Ahh, that’s great that you have your VCP! 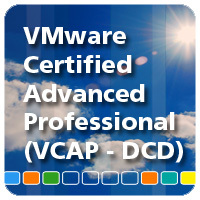 With your VCP, of course there is no course requirement for the VCAP-DCA. If you are willing to do some self-study (your lab) and watch my Train Signal vSphere Troubleshooting video, I have confidence that you will be prepared for the VCAP-DCA! As for the license, you can get a 60-day eval of vSphere enterprise plus that will have all the features possible. If that isn’t enough then you could sign up for another 60 day eval with another email address (haha, don’t tell VMware I suggested that one). By the way, Train Signal will also be releasing 3 more VCAP-DCA courses – PowerCLI, Performance, and Security. The new PowerCLI course will come out toward the end of March with the other courses following in the next few months. Thanks 🙂 By the way when do we see trainsingnal comming out with other CBT’s for VCAP-DCA (The perfromance one is already there and I saw the powercli …. “comming soon”) . Haha – thanks Stan! Let me know if I can do more to help! I read the vsphere storage documents from vmware.It seems lot of information about hardware like hp/netapp storage devices.Is i need hardware knowledge to pass the VCAP or i need only vsphere knowledge. Also.Is i need any thread party tool experience to pass VCAP. No you don’t need any specific vendor knowledge (other than VMware) to pass the VCAP exams (you can see this in the VCAP blueprints so that is public knowledge). Thanks for visiting my blog! Best of luck on your VCAP exams! Thanks for your replay.I am in India how can i find people in india who did VCAP also where can i take my VCAP exam india.Do you have any idea ? I did already check and there is a VUE testing center in New Delhi (at least) but I’m not sure how close that is to you. All the best & good luck on your exam! I am planning to write a VCAP exam. Can you please guide what kind of question is appear VCAP. i have read the blueprint document, 40 live lab activities and a short pre-exam survey consisting of 9 questions. I believe that somewhere in the blueprint it says that the DCA exam contains mostly lab exercises where you have access to a real vSphere infrastructure and you have to perform real tasks on that infrastructure. You may be using the vSphere client or the CLI and they could be performance, troubleshooting, PowerCLI, security or any other topic on the blueprint. Excellent compilation and am a big fan of your courses. I am a vcp4 and trying to get some clarity on what would be the cutoff dates till which the vcp4s won’t be required to upgrade to Vcp5 so as to “remain qualified” for vcap? I am working as DC manager and would looking for information on Virtulization, please guide me will VMWare VCAP will help me in going forward from the designing solutions prospect or shell I should go for some other course? Hi David thanks for the Info. 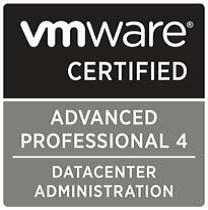 I am planning to complete VCP- DA. I am already a vcp 5 holder i scored 99% in the exam. However i heard that, vmware takes time to consider ur application while you apply for VCP-DA ? One of my colleague applied 45 days back and he did not get confirmation as of now. I go mainly with self study and Trainsignal videos. I have 4 servers ( home based lab ) each with 16 gigs ram. Can you suggest me how to get started? And yes btw i dont have any specific setup for Storage.